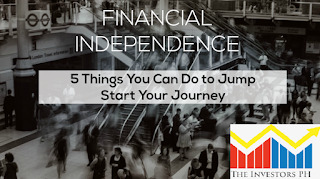 How to start your journey to Financial Independence? Becoming wealthy is achievable with the right approach and planning. It would not happen fast but the key here is starting early as possible and stick with it. 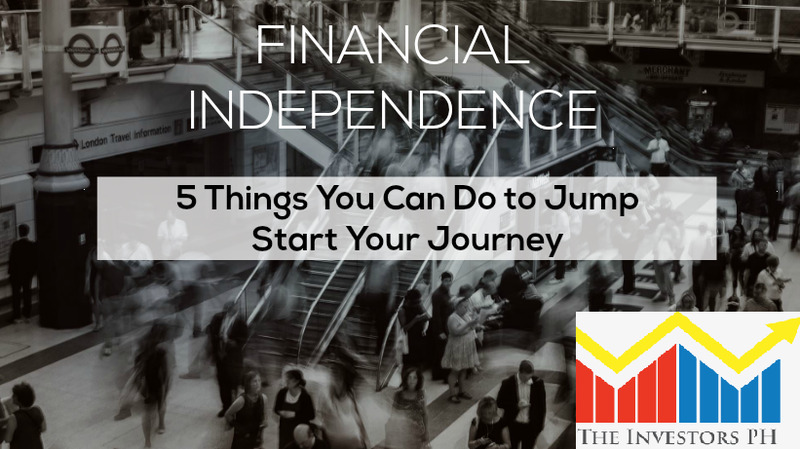 Here are the five things to do before getting on the road to Financial Independence. How much money do you want to make year on year? How much from it you want to save and invest? Remember your goals must be SMART (Specific, Measurable, Attainable, Realistic and Timely). It is better if it is aligned with your career goals as well. You should have definite check points to assess and track your progress. Twice a year is enough and it can help you remain focused and motivated. Keep your eye on the prize. Are you debt free? Do you have an emergency fund? How much are you earning right now? These are some of the questions you need to answer when evaluating your Financial status. It is important that you know what you currently have and how soon you can start your journey. It is important to have an "action" plan - this is the key to your success. For starters, it can be as simple as saving 20% of your salary or reduce your expenses by some percent. Keep in mind you are the one to take action, your determination and commitment will make the difference. There will be times that you will face a problem or your plan will not workout. You need to be ready when you encounter such instances and must act swiftly. Even you have a fixed income having other financial obligations can make your journey rough. Better to have a plan B or alternative route. Setting time to write is an act of discipline. Taking notes about an experience allows your mind to relive it. It can help reaffirms your abilities and prevent self-doubt to appear. It is also a great tool to account your learning and ideas - unleash your financial creativity. I think there is one crucial element lacking. It is personal growth. I think setting long term financial goals can be done, but it is increasing or adding income stream where people have the most problems with. Having said that, you have given a solid foundation of what to do, it is now up to the person to grow one's self to enable more income sources to make goals achievable. In my line of work, and with more than 90% of people I have talked to, based on current income and goals, it would take 100+ years and more to achieve. So my role is to help find ways to reduce the number of years before goals are attained. I think saving is the most important part we must start thinking about in very early age.. As the time goes, our expenses and requirements increase. Though I have read this before in a business magazine, it's good to be reminded of these points. We sometimes get too caught up with so many expenses without realizing that it will cost us something in the future. This should be something younger ones should learn as early as now. As a woman in her early 20's and is currently suffering from quarter life crisis, this post is really helpful. Thank you! If all Filipinos will do this by heart. Gain financial literacy and help other people to learn, we will become a first world country. We can fight poverty. So let's start in our own little ways. This is a great post. These are great tips. The challenge for me personally is discipline and that's something I have to work on. I will follow these tips and I hope my financial status would somehow be better.. Thank you. Financial independence of financial freedom is what we all want. Great points! Its not going to be easy but it is attainable. I consider myself as a visual guy and when it comes to financial matter, I always write all my budget and even plan all my expenses ahead of time. I will surely keep all these tips in mind and hopefull I'll get such financial independence too! Ha! This is a very nice article. It would have been easier for me to follow the tips given here, if I'm living in my homecountry where getting broke is not something to be afraid of. Because, wth, I'm home. But I'm not. I'm living overseas, and so, financial independence is trickier to achieve. But the tips here are still applicable, i guess. Thanks for sharing and good luck just the same!